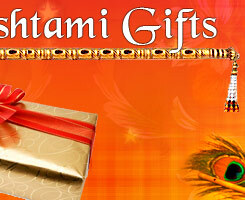 Janmashtami is a popular festival celebrated all around India and world. Read on to know more about Janmashtami legends. 'Janmashtami' is a sacred festival in India and is celebrated on the eighth day during the Hindu month of 'Shraavan', all over the world. One of the most popular Indian festivals, Janmashtami is celebrated to rejoice the birth of a popular Hindu deity; Lord Krishna. The birth of Lord Krishna has been told in many texts and recounted in many versions. 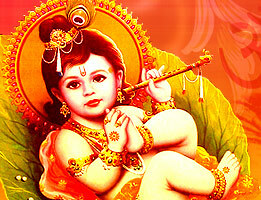 It is said that his birth has been inscribed in age-old 'Puranas' that retold and recounted to date. There are countless versions as to why Janmashtami is actually celebrated. However, popular legend states that Krishna was born to King Vasudev and his wife Devaki in the town of Mathura. Mathura, being a prominent town in North India, was initially ruled by King Ugrasen, who was dearly loved by his subjects. He had two children, Kamsa and Devaki. Kamsa was cruel by nature and forcefully jailed his father to seize his father's throne. During Devaki's wedding to King Vasudev, a heavenly prediction voiced that the eighth child born to Devaki and Vasudev would eventually defeat Kamsa. On hearing this, Kamsa locked both, Devaki and her husband in a dungeon and pledged to kill the children born to the duo. The atrocities of King Kamsa had crossed all limits and all good deeds were admonished. After all the first children of Devaki and King Vasudev were mercilessly murdered, the seventh child was miraculously transferred to Rohini's womb, King Vasudev's second wife. When the eighth child was born at midnight, the night roared with thunder and heavy storms. In the hope of protecting his eighth child, Vasudev placed his queer looking newborn into a basket and carried him across the town to Yashoda's house. He quietly exchanged his son for Yashoda's daughter and brought her back to the prison at Mathura. On Kamsa's arrival, the couple pleaded to let the child live, but in vain. Kamsa seized the child and was about to kill her, but suddenly the child took form of Goddess Kali and chided Kamsa, saying "The one destined to kill you is safely away at Gokul". Thus, the story of Krishna's birth which has been countlessly recounted during the festival, to not only mark the birth of the deity but also to highlight the success of good over evil. The seventh child that mysteriously disappeared from Devaki's womb and got transferred to Rohini's womb was an example of divine intervention. Although the first six children were successfully killed by Kamsa, the seventh child was magically transferred to the womb of King Vasudeva's second wife. Kamsa was unaware of this divine intervention and had believed that Devaki suffered a miscarriage. Little did Kamsa know that the child was in fact, Balram; Krishna's aide and confidante! Thus, Balram, the elder brother of Lord Krishna, was born and is an integral legend to the story behind Janmashtami. The girl who was replaced with Lord Krishna was indeed a 'Yogmaya' (Goddess of illusion) and also a reincarnation of Goddess Kali. After the child vanished into thin air, she was reborn to Yashoda and Nand as their son, who was later killed by Kamsa for trying to free the people of Mathura from Kamsa's tyrannous rule.